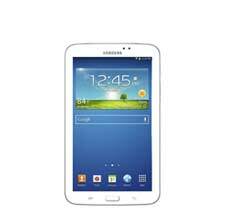 Engage and entertain the whole family with the Galaxy Tab 3 7.0 tablet from Samsung. 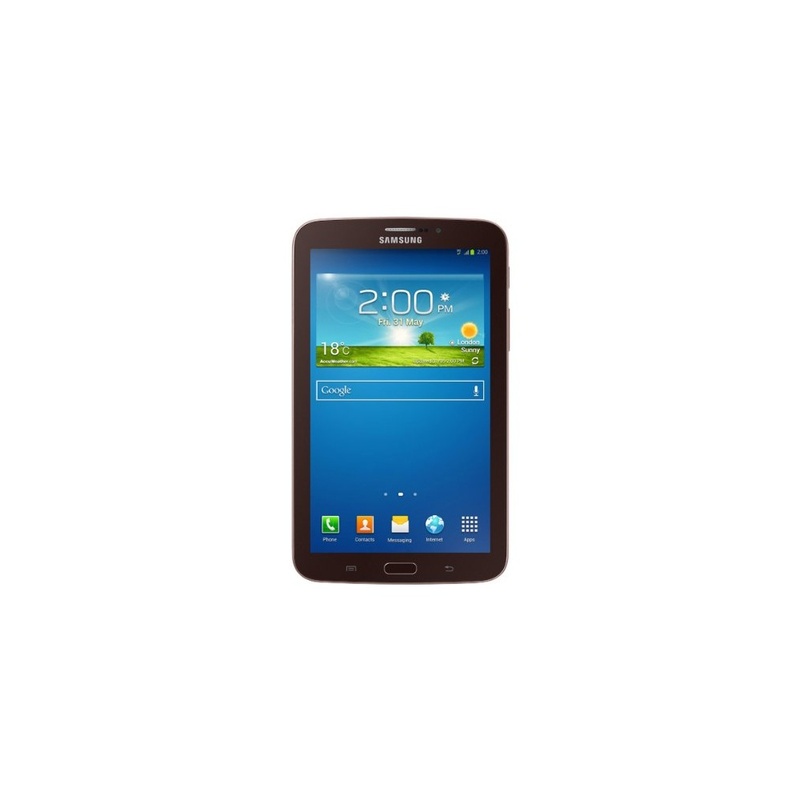 This thin, lightweight Android tablet fits in the palm of your hand and features a 7-inch touch display along with the same familiar interface as other Samsung Galaxy devices, making it easy to use. 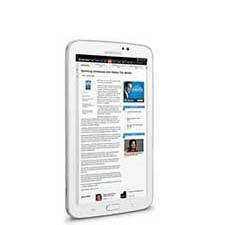 Use it to quickly browse the web, watch movies, read e-books or download apps from Google Play. 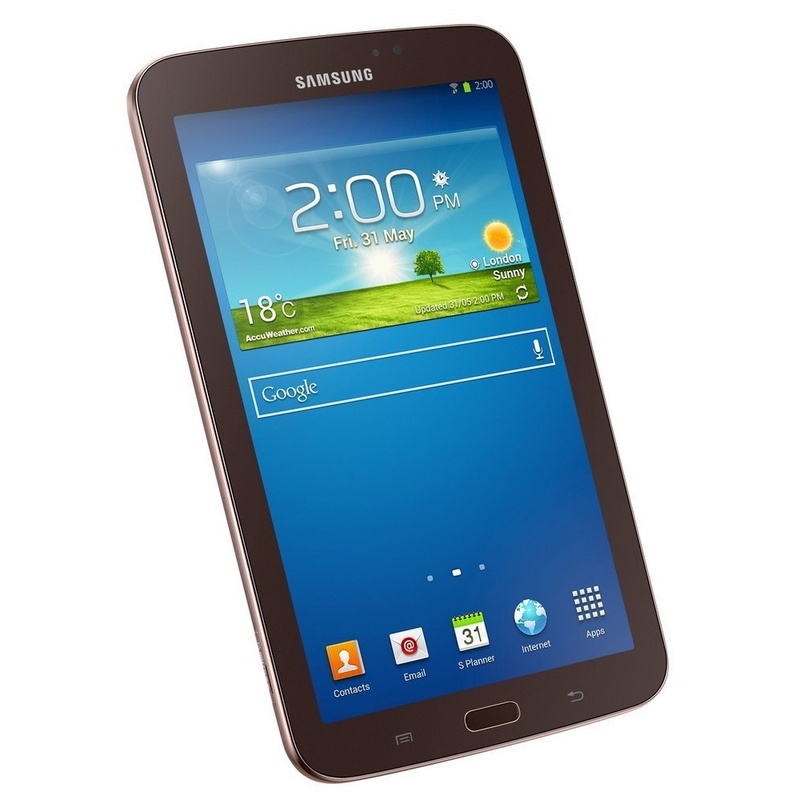 The Galaxy Tab 3 features a 7-inch display with a 1,024 x 600 resolution, as well as an AMD 1.2 GHz processor -- making it well suited for downloading and watching the latest movies and TV shows, reading digital books, playing games and more. 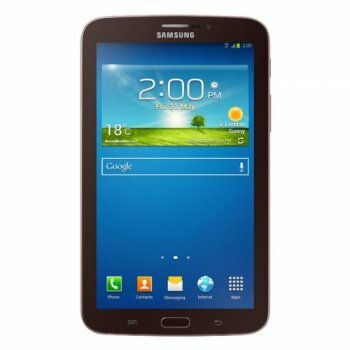 The 7-inch Galaxy Tab 3 offers the same features, settings, and user interface as other Samsung Galaxy smartphones and mobile devices for a familiar and intuitive experience. Music, videos, apps, contacts, and other content stays in sync wirelessly and automatically on your tablet and your Samsung phone. 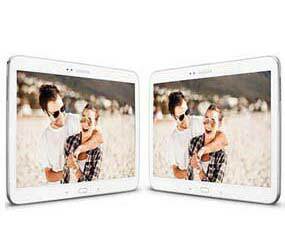 The Galaxy Tab 3 offers 8GB of memory and features a microSD card slot that allows you to add up to 64GB of additional memory (microSD card sold separately), making it easy to store songs, videos, photos and other files. 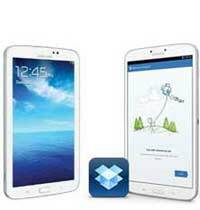 This tablet also comes with 50GB worth of free Dropbox storage for two years. This enables storage of all files that are accessible directly on your mobile and anywhere else there is an internet connection. Unlimited entertainment -- Video Hub is your personal video store concierge -- 1000+ titles and counting -- with virtually no wait time during progressive downloads so that you can enjoy video content right away. Forget lugging around stacks of books, for your convenience and satisfaction, Music Hub provides a full music store loaded with your favourite tunes. Game Hub, your go-to source for premium and multi-player games, lets you jump into action any time, wherever you are. 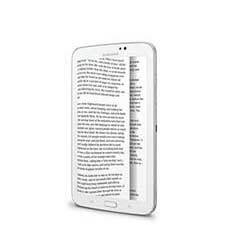 Using the Galaxy Tab 3, you can curl up and read a good e-book or browse through your favorite digital magazine using reading apps such as Kindle and Google Play Books, all available through the Google Play store. 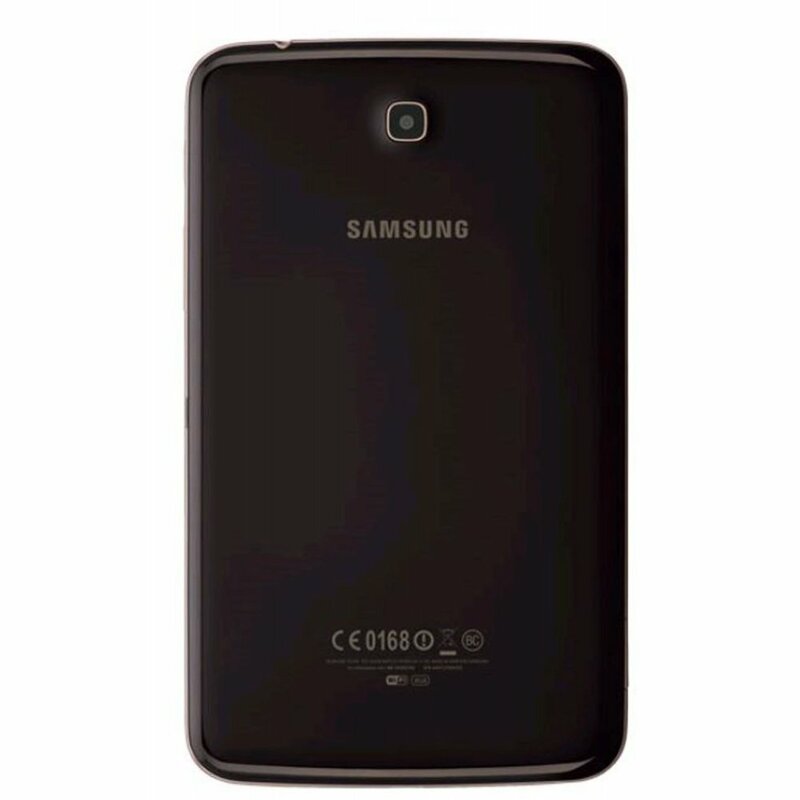 This thin, lightweight Android tablet comes preloaded with the Android 4.1 Jelly Bean operating system and is powered by a 1.2 GHz AMD processor and offers up to eight hours of battery life on one charge, making it easy to browse the web, download apps, check email, and enjoy social networking from wherever you are. 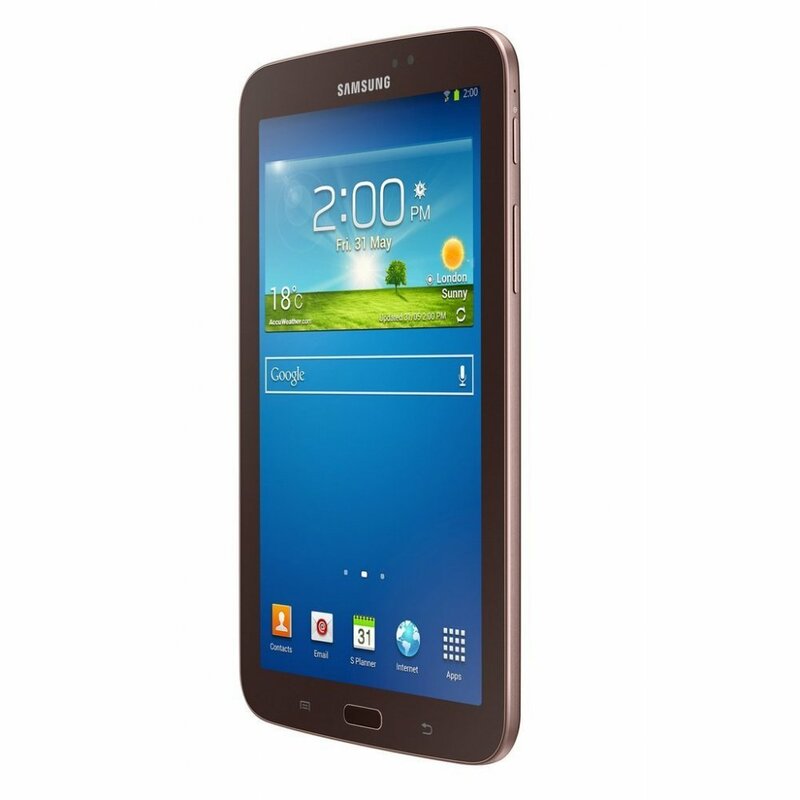 A 1.3-megapixel front-facing camera makes it easy to use the Galaxy Tab 3 to conduct video chats with friends and family members, while a 3-megapixel rear-facing autofocus camera allows you to capture those special moments and upload them instantly to your favorite social network (10.1-inch shown).